Meghan Altman’s passion for environmental preservation has lead her many exciting places – at one point she was even headed for veterinary school to care for large cats (the wild kind, not your oversized house pet!). I was lucky to work with Meghan on my very first team project as an MBA student, researching the environmental and social impacts of ride-hailing apps. She set a high bar, with exactly the qualities you want in a teammate: she’s driven, passionate, hard-working and a lot of fun. Meghan grew up on the beautiful South Florida coast, but she’s found her home in Colorado. She graduated from the University of Boulder with a double major in Environmental Studies and Ecology/Evolutionary Biology, and later settled nearby. I asked her what she loves most about the area, and she said that Boulder was founded on the value of preserving open space, which influences the culture as well as the landscape. An avid hiker and mountain biker, she loves the access to trails outside her door. She also appreciates the way Boulder’s active culture promotes healthy work-life balance and connection with the natural world. 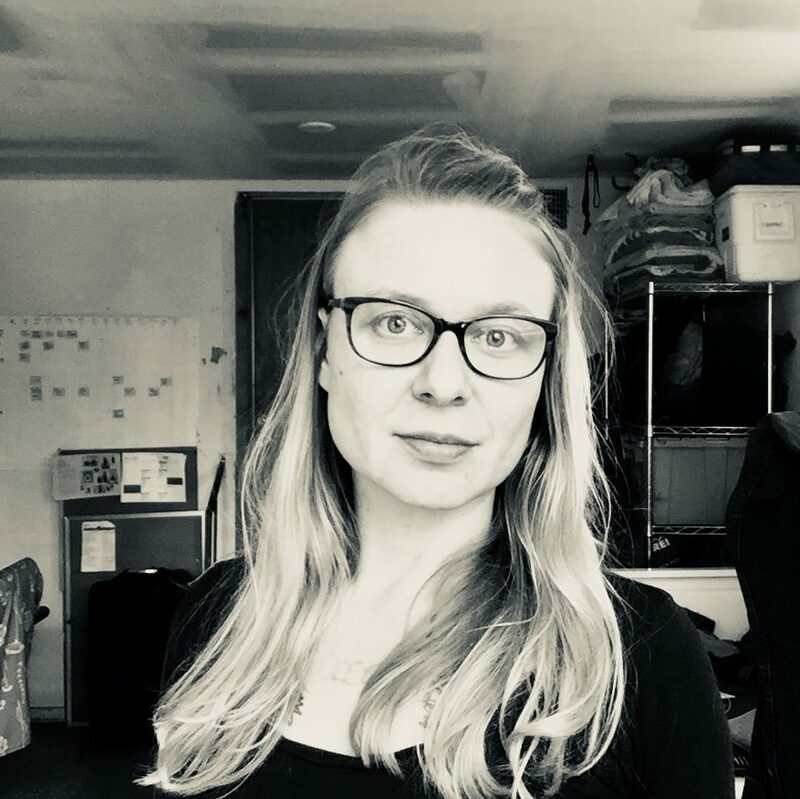 Ambitious and dedicated to her work, Meghan’s got a full plate as an MBA student at Bard’s low residency program, Operations Director at Natural Capitalism Solutions, and co-founder of Chain Reaction. She still prioritizes getting outdoors whenever she can, even if that means sitting in her backyard, with a view of the mountains, while she logs in to our online classes. Meghan’s held a variety of unusual positions, from studying abroad on a preserve in Tanzania to working with an atmospheric scientist in Maine. She shadowed a veterinarian for a year as she weighed the pros and cons of veterinary school (with the ultimate goal of going back to work on an African preserve) and also considered pursing a masters in conservation biology. Through these experiences, Meghan learned that she loved “wandering around in the woods” and excelled at the meticulous process of data collection, but ultimately felt she’d become unsatisfied with the research path. “I didn’t see it as the place I could have the most impact” she says, “Data and science are so important. But I didn’t want my role to end with researching how bad things were and hoping somebody did something about it – I wanted to be working within businesses that have the power to make changes”. Initially she found the pivot from field science to business challenging to make. A key turning point came when she applied for a job with the Pet Sustainability Coalition and was directed to their parent organization, Natural Capitalism Solutions. “I came in at just the right time – their Operations Executive was leaving, and Hunter [Lovins] hired me for the position. That first year was all about learning the corporate side of sustainability”. As Meghan demonstrated her strong capabilities in project management and operations at Natural Capitalism, Hunter saw her potential and became a mentor, encouraging her to apply to the Bard MBA program (where Hunter is also a founding professor). About her first year at Bard, Meghan says “Everything is new and exciting. It’s been amazing to find out how much I enjoy every one of my classes”. I can relate to Meghan’s journey, and loved talking about it with her. I was also a real “math kid”, but I wanted a career with meaning and purpose, and the connections weren’t initially clear. After our first year in Bard’s MBA, Meghan and I both see the potential for analytical and financial focus to make a sustainability impact. For example, improvements in the critical areas of operations and finance can help mission-driven businesses achieve more. Shifting capital through impact investing can spur innovation and scaling of sustainable solutions. Meghan’s interested in working with all types of organizations, including nonprofits like the Savory Institute (where she’ll do her capstone project, working on business model development), startups like Simple Energy and large corporations like Nike that are innovating in sustainability. In her 2nd year at Bard she’ll continue building skills and exposure to sustainable business management, and define her next career move.